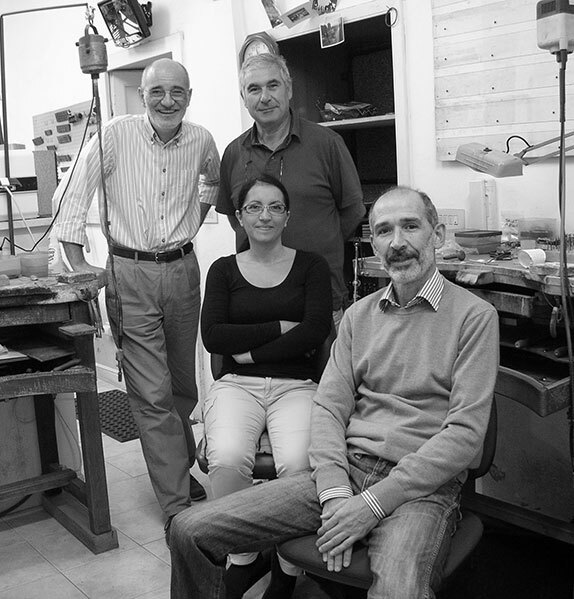 RR Orafi in Sassari is a dynamic workshop in which the experience of two master goldsmith is mixed with the marketing skill and the staff experience. The organisation of the workshop makes possible the deep care of the jewellery creation and their selling all over Italy and overseas. The exclusively design of RR Orafi jewellery takes inspiration from the gold handcraft tradition of the ancient Mediterranean cultures: from the Maghreb to the Greek coast. The original use of techniques as for example the filigree, the gold granulation and the hammered gold makes possible the creation of unique jewellery which transmit the values of ancient cultures. RR Orafi workshop started in 1983 by Riccardo Dessì and Rocco Onnis S.d.f. 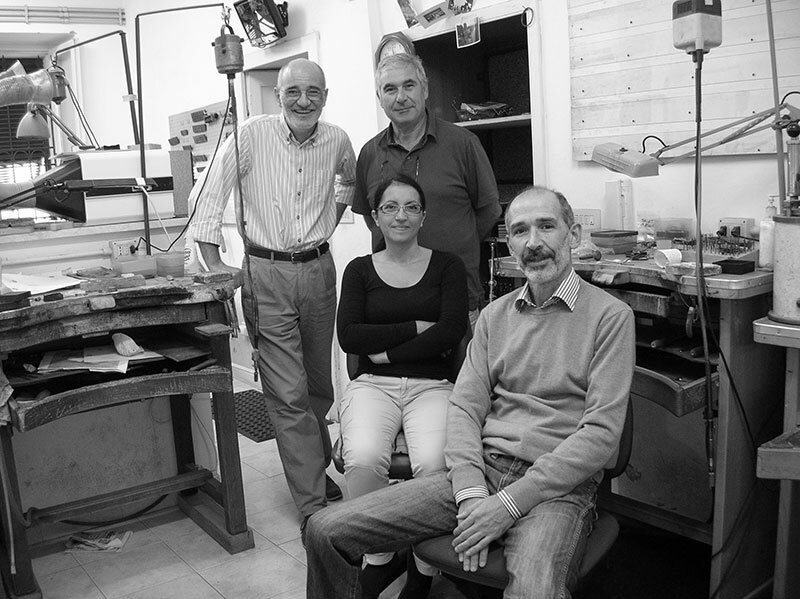 Both Riccardo and Rocco are from Sassari and have known each other since the primary school; they started in 1977 in Riccardo's father laboratory following the tradition of three master goldsmiths generations. Two years later, in 1979, they went to live in Valenza Po, one of the most important town in unique jewellery production all over Italy and Europe. There they worked with professional goldsmiths practising in many handcrafting factories with different characteristics of production. In 1983 they went back to Sardinia and opened a new laboratory.